Gov. Jared Polis is expected to sign the bill into law. Colorado is poised to become the 16th state to ban the use of conversion therapy on minors. On Monday, the state Senate passed House Bill 1129, which prohibits state-licensed mental health professionals from subjecting anyone under age 18 to the discredited practice, designed to change a person’s sexual orientation or gender identity. The House of Representatives first passed the bill February 19, and it now goes back to that chamber for approval of some language slightly amended by the Senate. Then it goes to Gov. Jared Polis, the first out gay man to be elected governor of any state. Polis previously pledged that he would ban the practice if elected governor and is now expected to sign. This was the fifth consecutive year that backers of the ban tried to pass it, but they were always blocked by the Senate’s Republican leadership. Democrats captured a Senate majority in the 2018 election, though, clearing the way for the legislation’s approval. Three Senate Republicans joined with Democrats to pass the measure by a vote of 21-13. In the House, where the lead sponsors were Democrats Dafna Michaelson Jenet and Daneya Esgar, two Republicans joined the chamber’s Dems to approve the measure by 42-20. Those who violate the new ban will be subject to action by their licensing board. 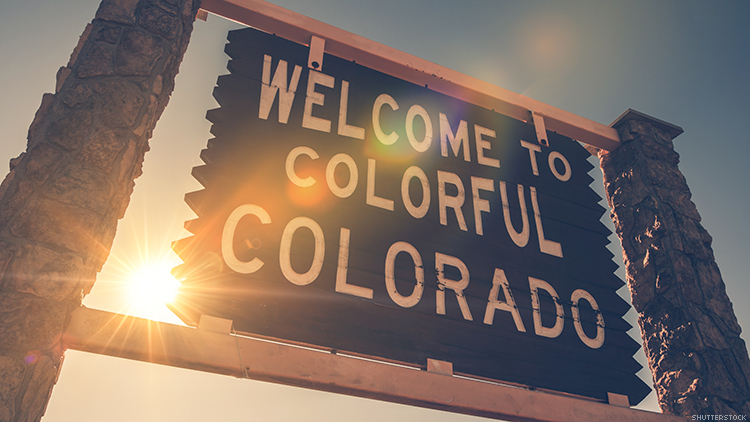 The legislation also makes the advertising or practice of conversion therapy by a physician or mental health care provider a deceptive trade practice under the Colorado Consumer Protection Act. Some opponents of the bill had expressed concern that it would interfere with freedom of speech and religion. However, sponsors pointed out that it would not regulate the work of ministers, only that of state-licensed professionals. New York was the most recent state to ban use of the practice on minors. It had previously banned it by executive order, but this year both houses of the legislature approved putting the ban into state statute, and the measure was signed by Gov. Andrew Cuomo.